Some weeks you feel like a truck has run you over. I guess last friday I felt this way, and that's why I was hoping for 7:30 PM to arrive. 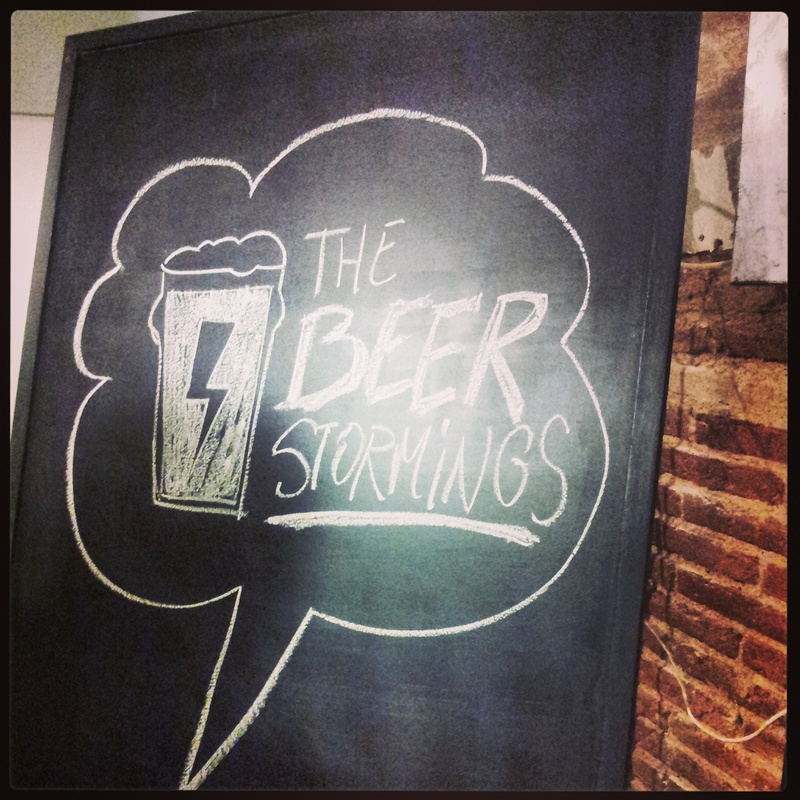 No external factor, nor even the almost impossible mission to park a car in a neighbourhood like Gràcia, was going to prevent me from having a great time at the first BeerStorming, an event organised in Barcelona by my mates from BrewHome. I reached the place with some spare time. Last preparations and the attendees, most of them gastro-bloggers, were called in to grab a sit. 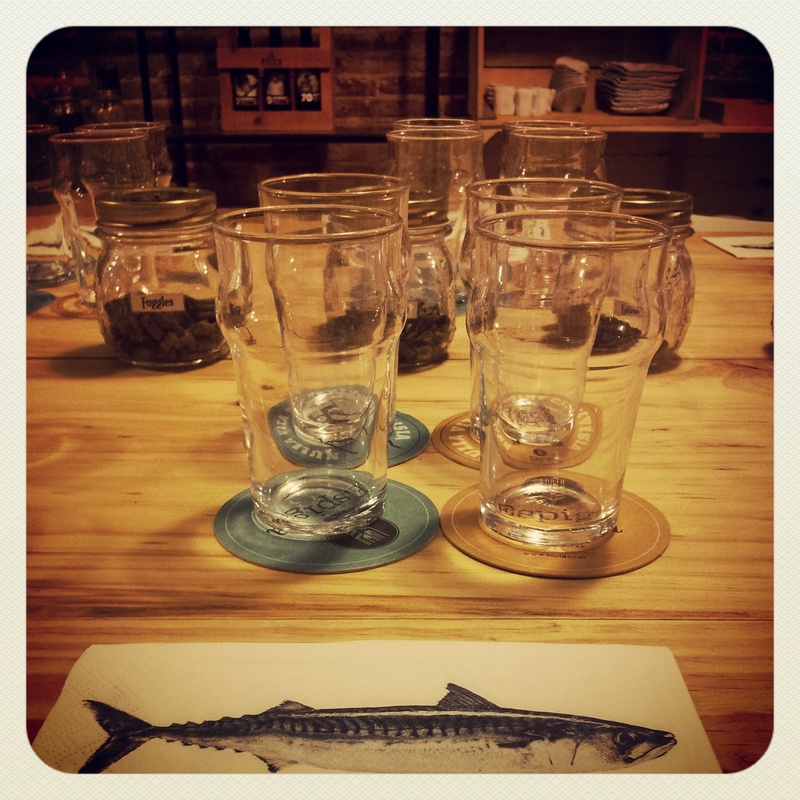 Two long tables were perfectly set with 4 half pint glasses for each person, along with a collection of small glass containers with the same malts and hops used to brew the beers that we were about to taste. All in a nice, cozy room with some homebrewing machinery and materials, red brickwork and wooden furniture. Great setup for an event that won our sympathy from the very beggining. 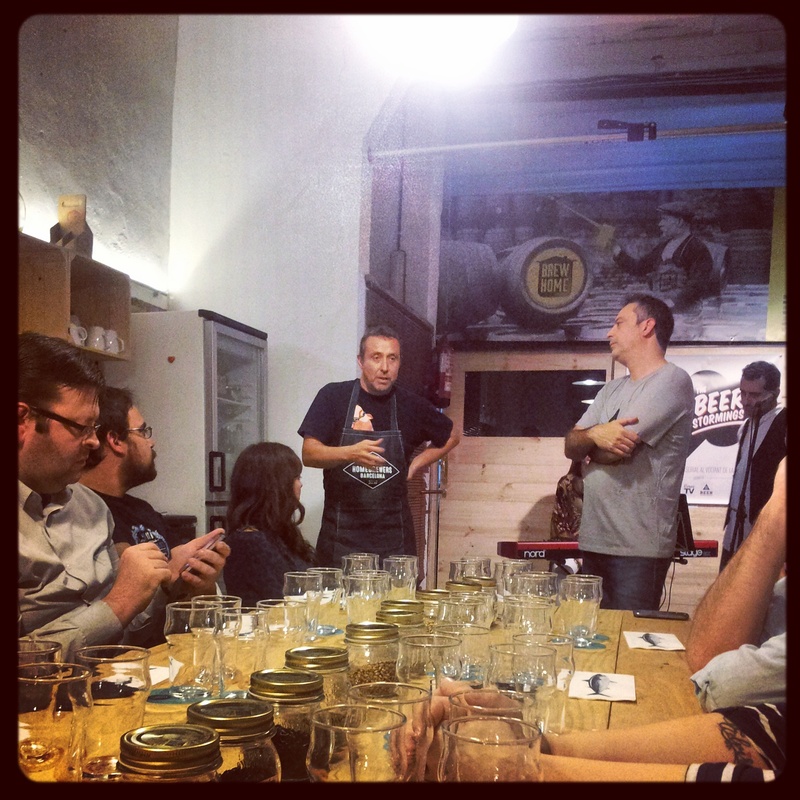 The activity was about talking and discussing about the beers to be presented and their possible food pairings. 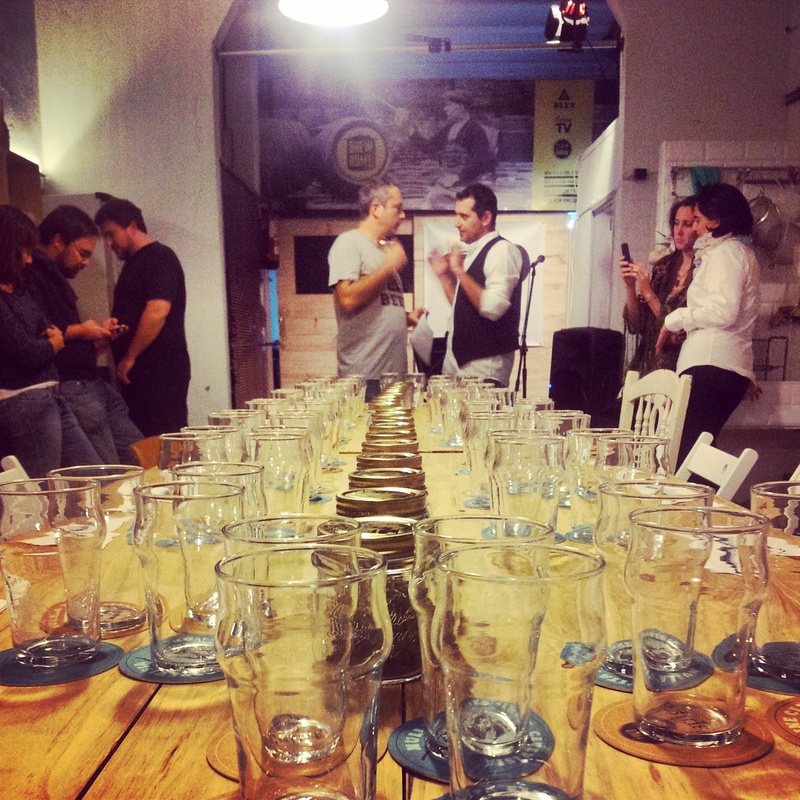 We'd later be explained some of the technical details about the beer and the eventual food pairing, all of which would be accompanied with music and poetry by a local group called Versonautas. During the session they played and had fun with the words, casually changing from Catalan to Spanish to fit the needs of the music, the rhythm and the selection of verses, written by some big names of literature. Roger Cisa and Dani Ruiz, from Oh My Beer and CerveTV, promptly introduced the event and handed it over to Arnau Rovira and Teresa Galván, from Cervesa Espiga. They briefly told us about their interesting and thought-out beer project, started in 2011 and presently enjoying a wide appreciation. Both of them are biologists who bet on a beer venture when they lost their job. Now their beer can be found in most of our local beer stores and bars, as well as in some supermarkets and shopping centres. Very suitable for beer drinkers who don't live in Barcelona city, and a good way to convince the plain local beer drinker that there's a world beyond Estrella. As you can imagine, local craft extremists have complained. But let's stick to the event. The fourth party on the scheme was Gilles Brown, a.k.a. Jazz, owner and soul of Mosquito Tapas* (and some other great places like Red Ant Noodle Bar, Mosquito Take Away and, coming soon, the Grasshopper). 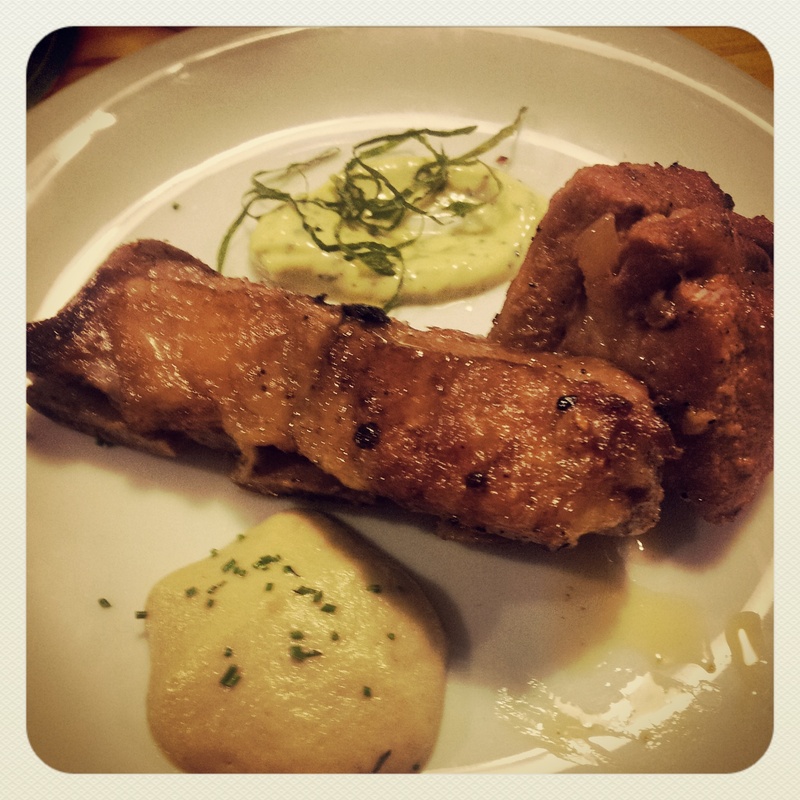 The Englishman introduced us the concept of his restaurants and gave way to the first solid nourishment. We were brought a deliciously hot and spongy piece of bread, and the musicians Roqui Albero and Ana Sanahuja started playing a song by Nat Simon, followed by two sonets (one of them dedicated to beer). Meanwhile, our glasses had been filled with a clear, golden coloured Espiga Blonde Ale, with a fresh American hoppy profile that was surprising fellow attendees who were not used to smell that on a beer. That's when we started the BeerStorming, collectively picking aromas and flavours out of the beer, and guessing possible food pairings with it after that. The exercise was completed for each of the four beers we tried, and it was quite interesting owing to the fact that most of the attendees had no prejudices and previous opinions about different styles of beer. 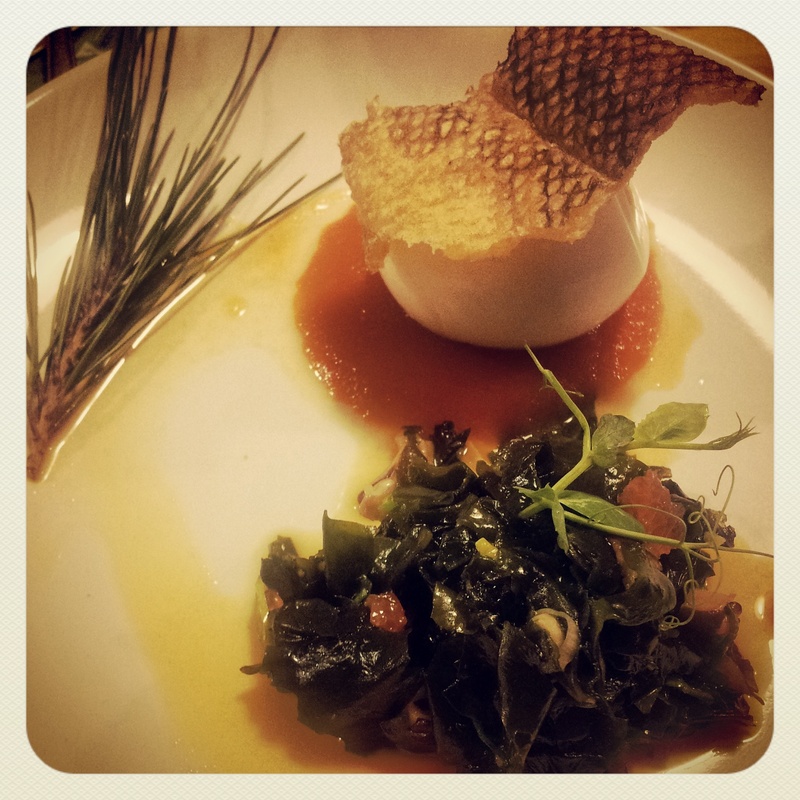 This way, fresh perceptions and sensings were brought to the feast. 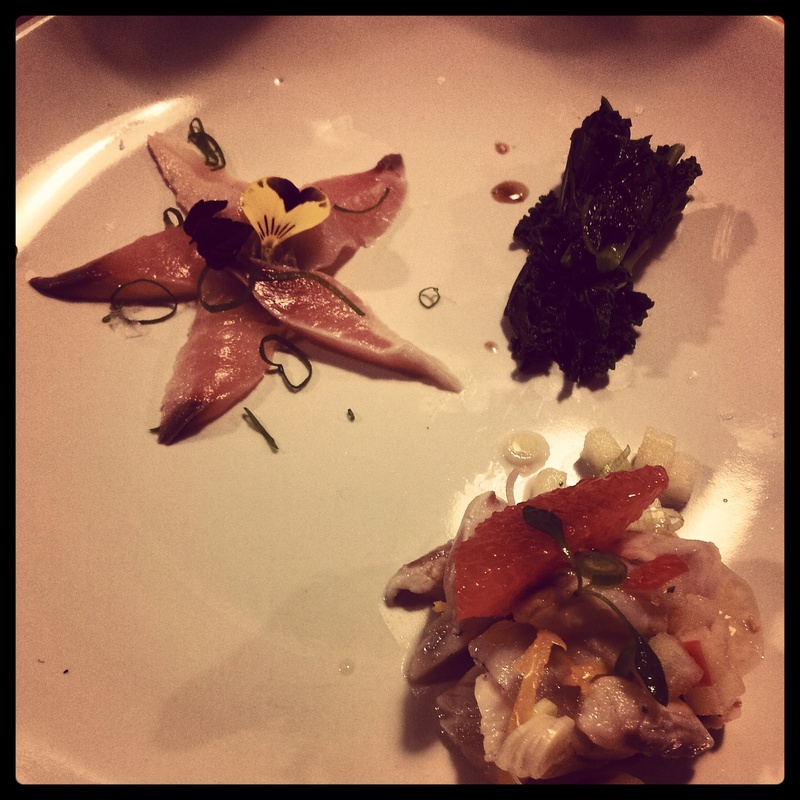 The beer was eventually paired with two exquisite ceviches, music by Duke Ellington and the "Oda a la Cebolla" (Ode to the Onion) by Pablo Neruda. 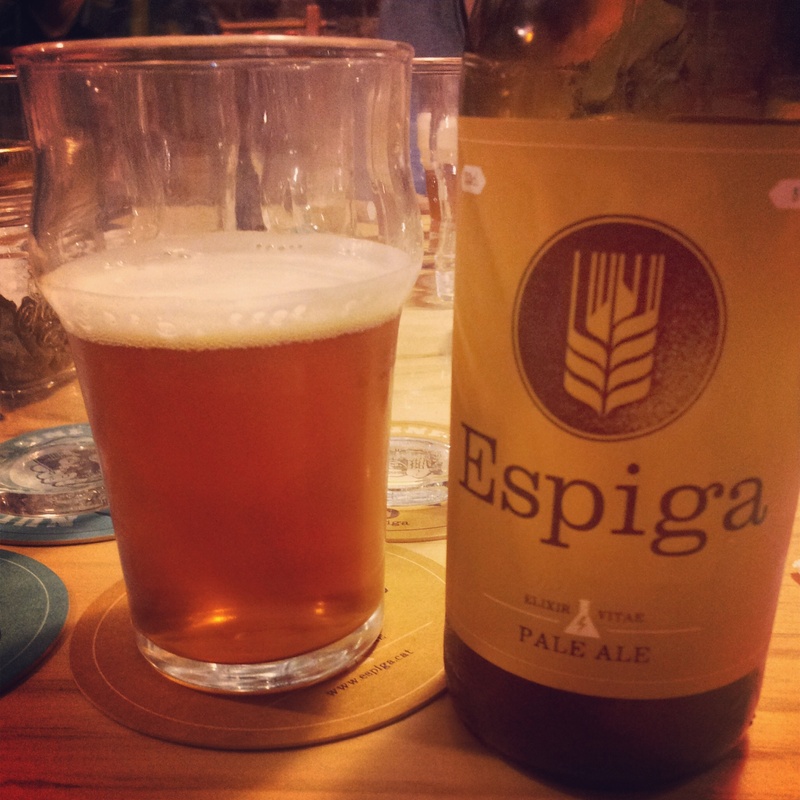 The next one was Espiga Pale Ale: British inspiration, but with an extra citrusy punch. It was masterfully matched with the most tender pork ribs I might have ever had, with a side of aubergine foam and a soft allioli. Versonautas played a jota, followed by a beautiful poem by Vicent Andrés Estellés. 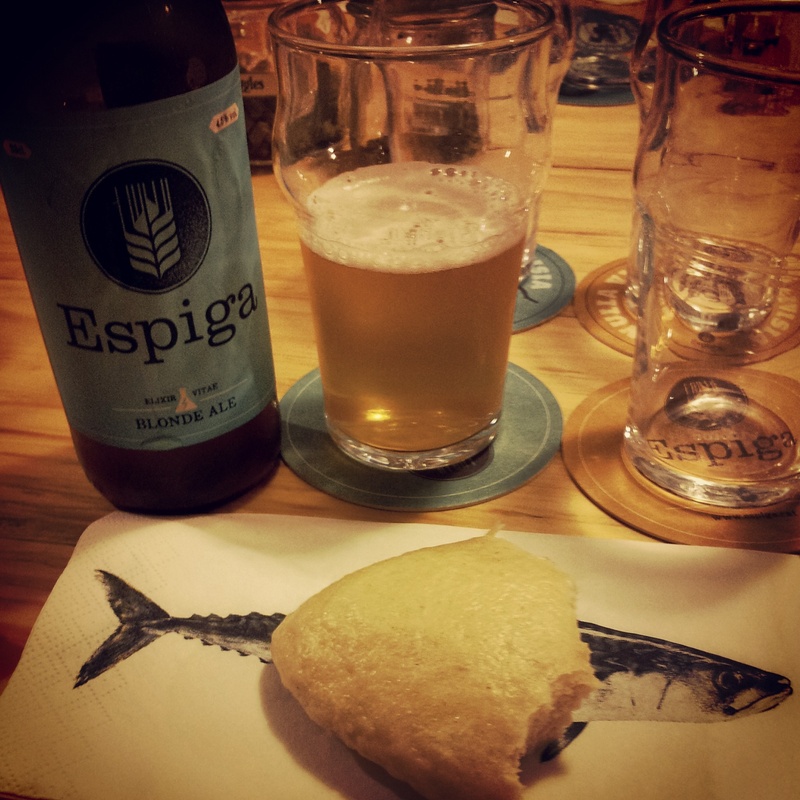 After that came an intense Espiga IPA Garage**, along with a brave pairing that Jazz described as a "cod homage": crispy cod skin, a creamy boiled egg, some softly spiced sauce and a fabulous mix of seaweeds, raisins and pine nuts. 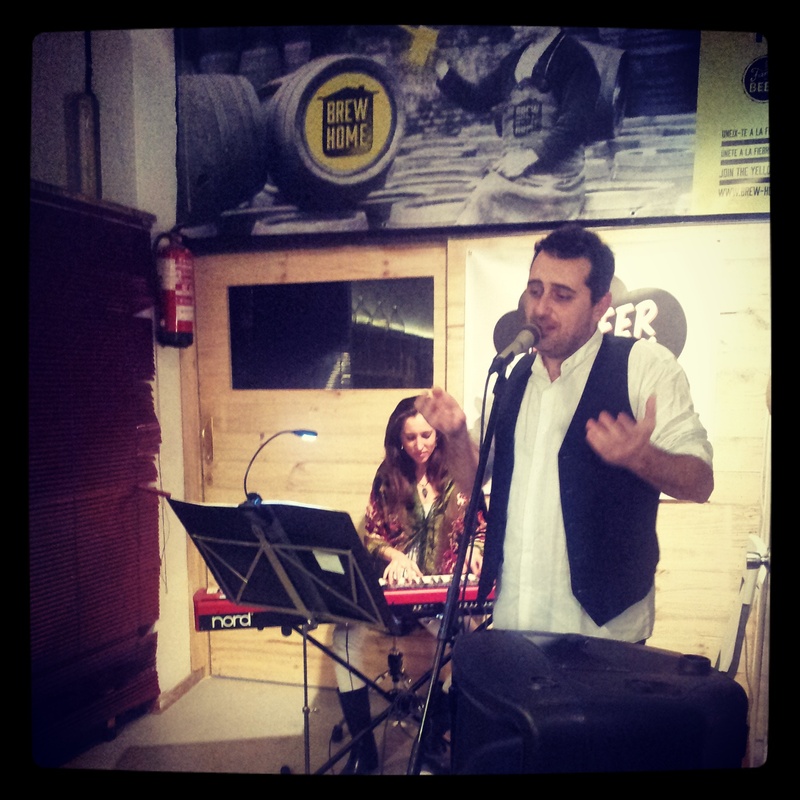 The musical side of the pairing consisted of a song by Marià Albero and JV Foix and a classic ode, "Al bacallà" (Ode to Cod) by Santiago Rusiñol. Most of us were hoping for a dessert to accompany the last beer. 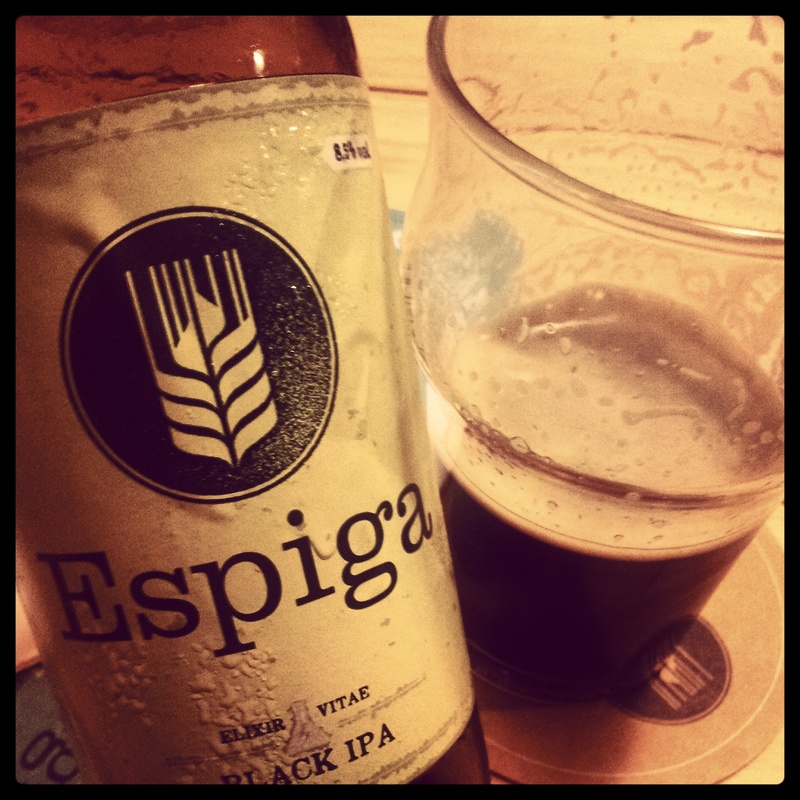 Espiga Black IPA seemed an obvious opportunity for a chocolate pairing, but we suspected that something else was awaiting. 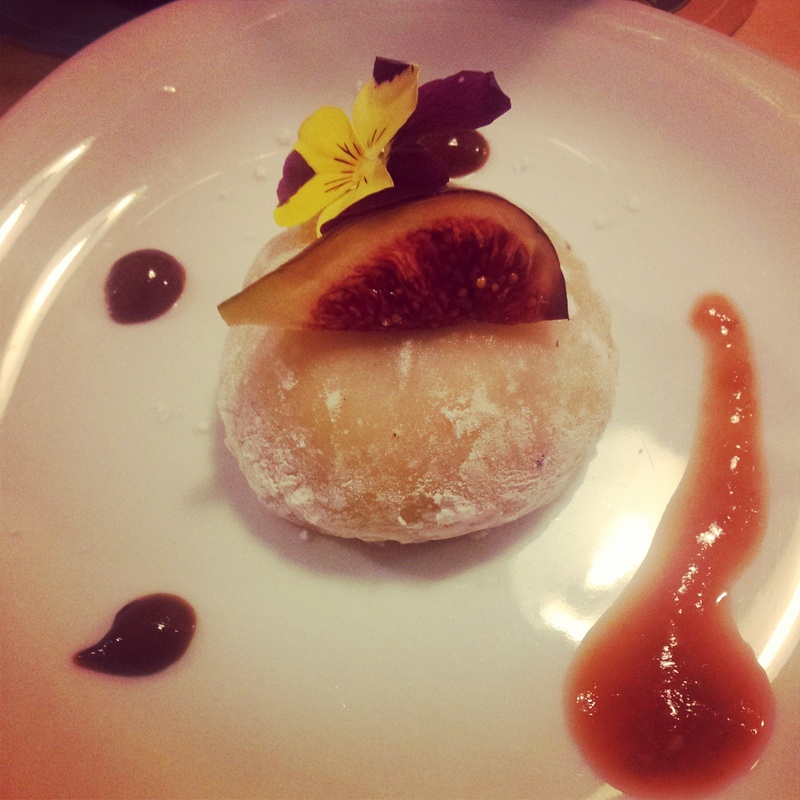 And indeed it was: an impressive mochi stuffed with black cardamom and a plums mousse that disguised the toasty character of the malts. It felt like drinking freshly juiced berries. Without a shadow of a doubt, the star of the evening. Roqui and Ana serenaded the moment with a piece by Isaac Albéniz and the verse "Les prunes d'or" (the golden plums) by Josep Carner. Beer in hand, we were offered a final repertoire with blues, a waltz and Cuban music, along with extra verses and poems. In the end, we gave the musical duo a standing ovation and had the chance to have a brief social moment with them, the rest of the organising parties and the other attendees to comment the experience with this first session of The BeerStormings. As the title states, it was not just another easily foreseeable, plain and monotonous beer pairing session. On the other hand, we could sense that there was a previous work of definition and discussion, the conjunction of experts from different disciplines who were looking for a novel product. And for sure, they succeed in stimulating thoughts and sensations throughout the attendees. I must express my gratitude to the organisation for counting me in for this cultural series, that will doubtlessly attract lots of people who like gastronomy and beer, or those who are just looking for a good weekend plan. It surely raised my spirits after some recent bootings and offenses to my personal dignity. * Yes, you should definitely go there if you ever plan to visit Barcelona. ** Damm (Estrella) president told the press he was worried about the reputation of local beer because microbrewers brewed in garages... That's Espiga's response to that nonsense. 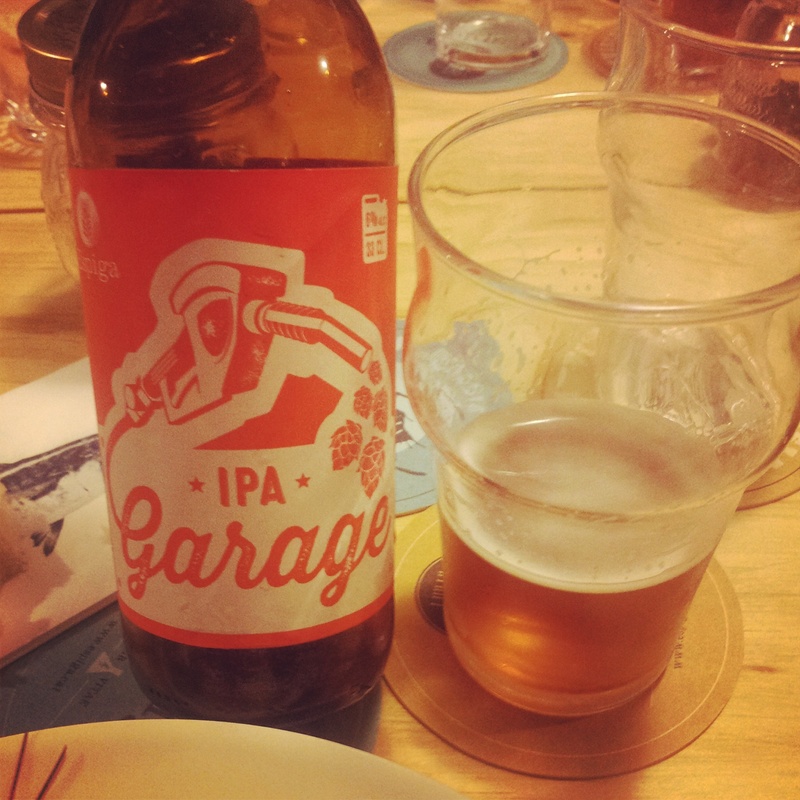 It is quite popular now to talk about "garage beer" down here.